This stylish pyjama set will have your animal lovers heart jumping. 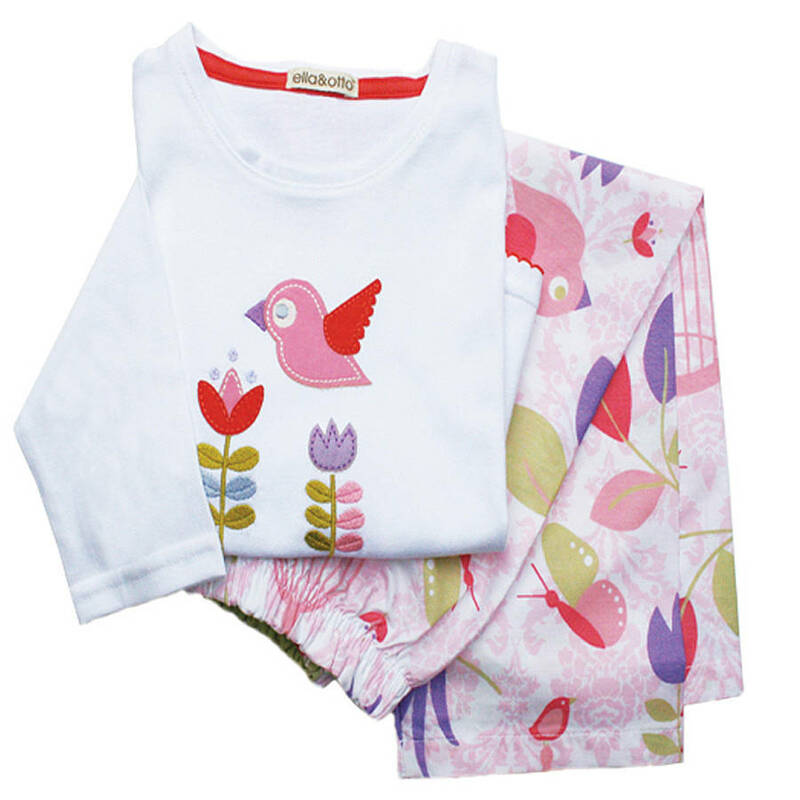 The trousers are all over printed in our tweet tweet print. 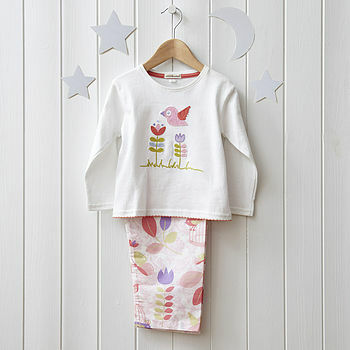 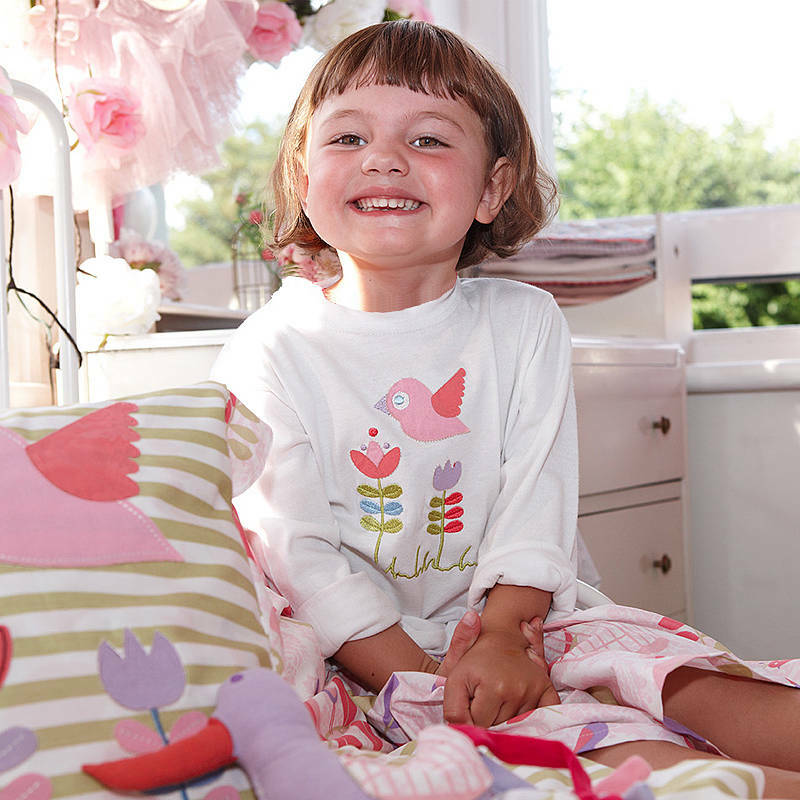 This is a fantastic gift for a girl celebrating her first birthday or any girl who loves a pretty pyjama - which girl is not delighted to go to bed at night with a sparkly birdy?